The Mother Letters began as a gift from a husband for his wife. Seth Haines noticed that his wife, Amber, was overwhelmed as the mother of three boys. So, he decided to collect letters of advice and encouragement from mothers around the world. 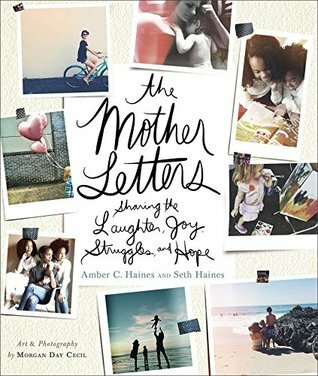 The gift was so meaningful to Amber that she and her husband decided to compile many of the letters into a book for moms everywhere. As a new mother, I was expecting to love this book and to be moved by the words inside. It was one of the few books I found time to read in my first few weeks home with my baby - the format making it perfect to pause and read a letter. And while I appreciated much of the sentiment in the letters, I thought the book overall was just okay. Some letters were more moving than others, but none of them stood out to me. The advice was generally sweet and meaningful, but it also felt cliché (and redundant) to me at times... The book itself, however, was lovely. I liked the small-size hardcover, glossy pages and photos throughout. I'd be most likely to recommend it a gift for new mothers, even though it didn't completely resonate with me. 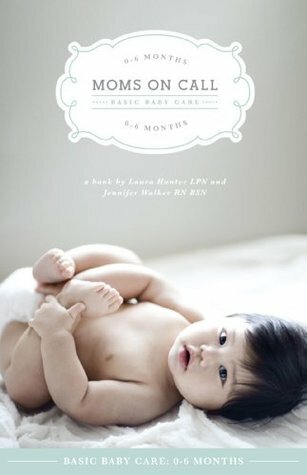 Moms on Call is a book of advice written by two pediatric nurses and moms. It covers all of the "basics" of baby care, such as feeding, illness symptoms, sleeping, bathing, daily schedules and more. Several of my friends with kids recommended this book to me, so I purchased a copy. I read through the book before my baby was born, and it was a pretty quick read. There's a lot of information inside, and I found most of it pretty helpful. I'm happy to have it as a reference, particularly the information on illness symptoms. One of the biggest components of the book is the section on sleep and daily schedules. My baby is currently six weeks old, and I haven't used this part of the book. The daily schedule and sleep principles seem too rigid to me, though I'm applying some of the general advice like swaddling, using a white noise machine, and stretching out the time between dinner and bedtime feeding. The tone of the book is a little annoying. The authors definitely believe that you should follow their advice to the letter, including a particular method of swaddling and using a specific kind of bottle. There are some formatting errors in the Kindle edition, as well as other issues that show the book needed a bit more editing. 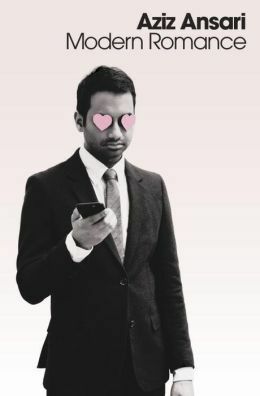 Comedian Aziz Ansari teamed up with sociologist Eric Klinenberg for a research project on modern romance. They conducted interviews and focus groups in numerous cities around the world, analyzed surveys on romance, created an online Reddit forum and worked with other social scientists to come up with the data that went into this book. I wasn't really interested in reading this book until I saw that it was on sale for Kindle one day. For $1.99, I figured it couldn't hurt to try it. With Ansari's background, I was expecting this to be a more humorous book. That's not to say it isn't funny (because it is), but it's definitely much more focused on research and data. I found it absolutely fascinating overall! It didn't take me long to finish the book, and I liked when I learned from it. Chapters covered the different stages of dating (Searching for Your Soul Mate, The Initial Ask, Settling Down) but also explored how technology has impacted romance (online dating, sexting, snooping) and how romance varies internationally. It was the kind of book I wanted to discuss when I was done, which is definitely a point in its favor. If you want to laugh AND learn a little bit about how dating and romance has changed over time, pick up this book! Jay and Katherine Wolf got married right after college, moved to California to pursue their dreams and found themselves welcoming a baby boy into the world soon after. But six months later, everything changed for their family. Katherine suffered a massive brain stem stroke without warning - an event that likely should have left her dead. But after 40 days on life support in the ICU and nearly two years in full-time brain rehab, Katherine was doing things the doctors thought she'd never do again. 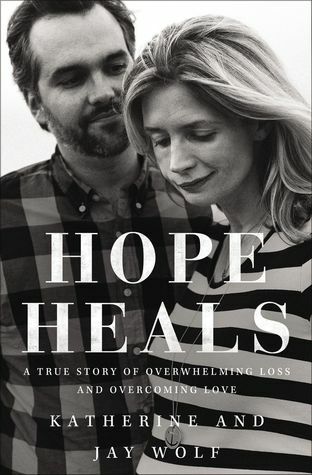 This sentence from the book's summary captures the heart of their story: "In the midst of continuing hardships and struggles, both in body and mind, Katherine and Jay found what we all long to find... hope, hope that heals the most broken place, our souls." I can't remember how I first heard about Jay and Katherine or their ministry, Hope Heals, but I was reminded of it a few months ago when I read an article Jay wrote for Darling Magazine. When I learned they were sharing their story in a book, I knew I had to read it. It was one of only two books I managed to read in May (struggle), but I absolutely loved it. The book is divided into four parts: The Dream Broken, The Hope Deferred, The Miracle Continues and The Healing Found. The first part describes Jay and Katherine's lives leading up to her life-changing stroke. The next three parts focus on Katherine's recovery and their lives post-stroke. It was an incredibly emotional read, and I couldn't put it down. I loved everything about this book - their writing, their honesty, their relationship and, most of all, the truth they shared. Their faith in Jesus is at the core of the book (and their story), and it was so moving to read about how they found hope in Him. I admire them so much, and I cannot recommend this book enough. It's something I'll never forget reading. Personally, I'm not a huge fan of baby or parenting books -- and this is certainly not because I think I know it all already ('cause boy, I definitely do NOT), I just find that so many of them seem rigid, like you felt for Moms on Call. I just don't buy into the idea that what works for one family works for all others. I find I doubt myself more about the routines we've established on our own if I read too much about how other families have done things. And I firmly believe that every kid is different, so trying to make my kid fit the model of a particular advice book just doesn't sit well with me. If I have a specific concern or question (like feeding my little guy now that he's getting older...) I'll borrow a book from the library, but I tend to skim and not treat it as the be-all-end-all -- just look for some ideas of ways to approach a particular issue if I am feeling stumped. And when it comes to any real concerns about illness or anything more serious, I definitely rely on my pediatrician's office. As my dad once said to my mom when he was was having a weird pain and she was trying to look up his symptoms in some book they had in the house, "I'd like to go where they ALREADY READ THE BOOK, PLEASE!" Hope Heals sounds incredible! I've never heard of this couple or their story before, but I definitely want to read it after hearing what you've had to say. It's the kind of story that sounds like it'd help me stay hopeful and stay positive in the face of everything that's been happening in the world lately. Glad to read your review of Modern Romance - I've been waiting to pick it up because I want to love it but I'm not sure I will. Also, Hope Heals sounds so interesting!